When we created THE Dream Machine, our most advanced machine ever, few believed it could be surpassed. However, our visionary designers at Brother never stopped dreaming. Now, they bring you THE Dream Machine 2. 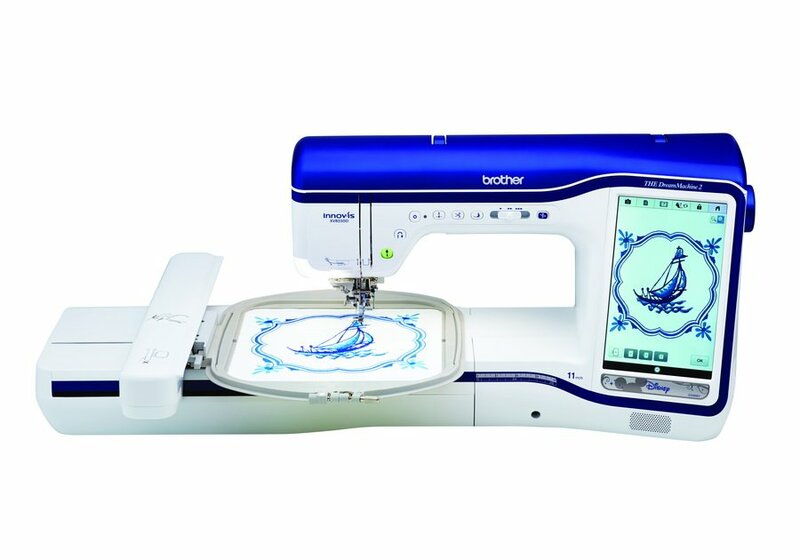 Enhanced, fine-tuned and graced with refined new features to give serious enthusiasts, like you, an incomparable sewing, embroidery and quilting experience. Are you ready for luxury in every detail? Dream on. Make your projects larger than life with our largest 9.5" x 14" and strongest embroidery frame yet. Plus, our NEW 9.5" x 9.5" included embroidery frame is perfect for quilt squares, jacket backs and cushions. With the addition of aluminum, rubber gasket and ribbed corners, our improved embroidery frames offer less slippage for better stitch results. Engineered for superior stitch quality. Bask in the pleasure of even more precise, high quality embroidery with our most advanced AccuTrac™ embroidery system. Created and used in our multi-needle PR machine, it provides better under arm support, reduces bounce, provides better stitch quality, as well as sophisticated mechanical changes for the smoothest frame control to date. Only THE Dream Machine 2 has the magic of 166 Disney embroidery designs built right in. Plus, get exclusive access to a constant parade of Disney and Disney•Pixar embroidery designs through the iBroidery.com Download Center.